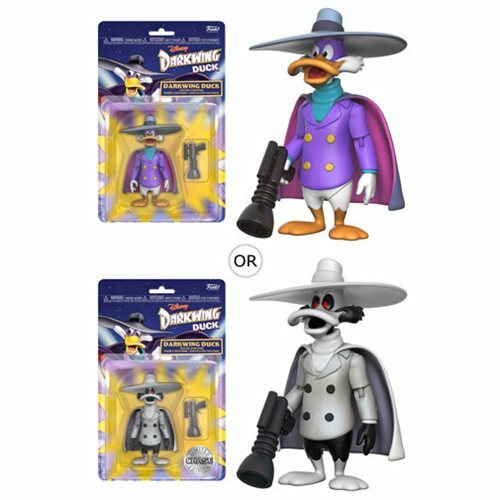 Shopping for Darkwing Duck Action Figures? Your Disney Afternoon collection is about to expand! This Darkwing Duck 3 3/4-Inch Action Figure has 5 points of articulation and includes his gas gun. Comes packaged in blister card. Ages 8 and up.